EdenShield is developing a family of eco-friendly, plant-based, nontoxic insect control products. EdenShield’s plant protection products leverage the beneficial characteristics of plants endemic to Israel’s semi-desert region and contain botanical extracts and nutrients vital for plant health and proprietary aromatic ingredients that mask plant odor and lower insect attraction. The material maintains its efficacy throughout the entire growing season. It does not affect honeybees or other beneficial insects, and pests do not develop resistance to it. 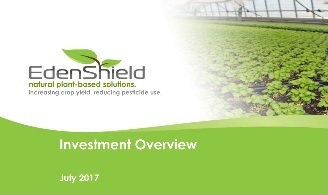 The Company’s NET product is an agro-technical treatment applied to greenhouse screens (not on crops) using GateKeeper™, EdenShield’s dedicated sprinkler system. Its DIRECT product is a foliar spray fertilizer applied directly to greenhouse vegetables, flowers, and cannabis. Tests with EdenShield’s products demonstrated lower greenhouse penetration of thrips, whiteflies, and tuta absoluta by over 90%. 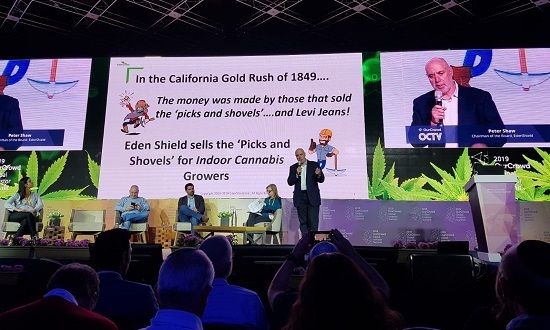 EdenShield Chairman Peter J. Shaw presents at the session Cannabis Revolution: Saving Lives and Changing Society, OurCrowd Summit, Jerusalem, 7 March 2019. 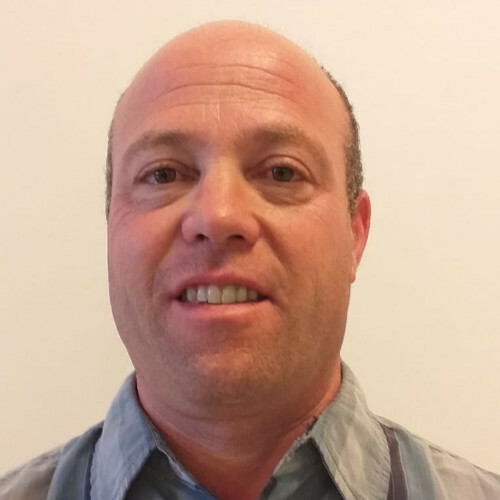 NoCamels: Feeding The World: Could Israeli Agtech Start-ups End World Hunger? Growers are actively looking for new solutions to improve crop yield by reducing the massive amount of damage caused by insects, and to reduce the use of pesticides. 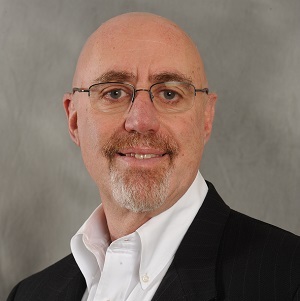 EdenShield’s natural plant-based solutions improve crop yield and reduce pesticide use. EdenShield’s plant-based products are effective on greenhouse vegetables, flowers, and cannabis. Strong customer response: Nearly 100% reduction in insects entering the greenhouse; up to 90% reduction in pesticide use. Tremendous global insecticide market: $14 billion; $2 billion greenhouse segment (excluding cannabis). Company estimates ~$1 billion market potential. See the presentation (PDF). Send more information about EdenShield. Previously, led business development efforts at Aviv Packing House Cut Flowers Division. Thrips, whiteflies, and tuta absoluta are three common insects that attack high-value greenhouse crops, including bell peppers, tomatoes, herbs, flowers, and cannabis. These pests cause more than $2 billion in damage annually, either by direct damage to crops or through the transmission of devastating viruses. Conventional chemical pesticides used to combat these pests are ineffective, as the insects quickly develop resistance — even within a single growing season. A number of pesticides are no longer commercially available due to their toxicity. Products that do remain in the market cannot be used during the critical preharvest period. Increasingly, growers are turning to natural solutions to control pests. However, these solutions also suffer from major drawbacks. Biopesticides (from plants or microorganisms) cause insects to develop resistance or are short acting. Using natural enemies involves regulatory hurdles, is complicated, and is inefficient when pest populations increase rapidly. The current worldwide market for insect pesticides is estimated at $14 billion, with the greenhouse segment estimated at $2 billion. Market players in the horticulture and ornamental segments are constantly looking for cost-effective natural solutions that are synergistic with their existing products. Recent legalization of cannabis for retail use in four states has triggered a surge in investment activities, a clear opportunity for EdenShield. The cannabis market is projected to generate $25 billion or more in annual sales, with growers actively seeking natural protection solutions for this lucrative crop.